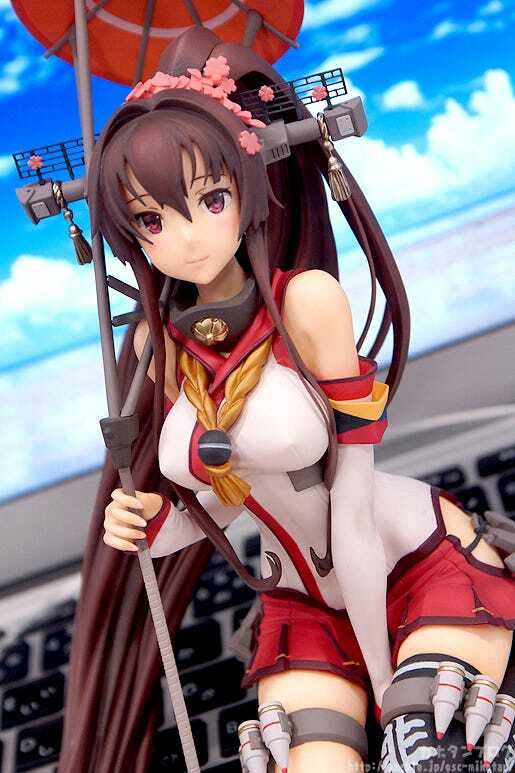 Kahotan's Blog | GOOD SMILE COMPANY Figure Reviews | Yamato Kai: Light Armament Ver. 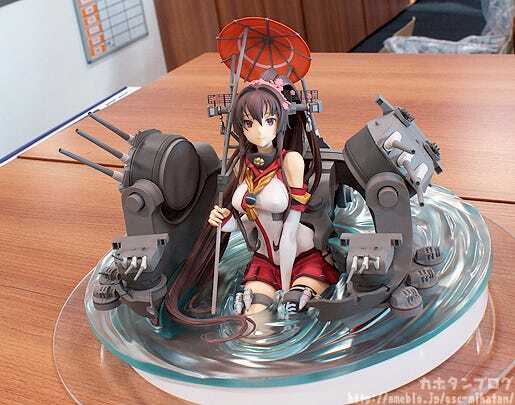 Yamato Kai: Light Armament Ver. From the browser game ‘Kantai Collection -KanColle-‘ comes a figure of the Yamato-class Battleship, ‘Yamato’ is a lightly armed version. 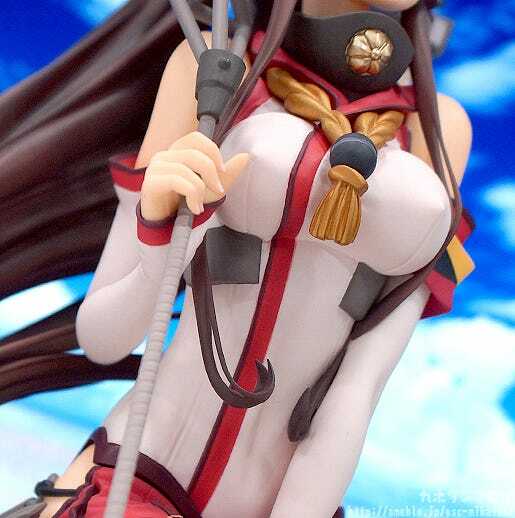 Unequipped with her large ship parts, Yamato is much more affordable, allowing fans to add her to their collection without too much of a hit to their wallets! 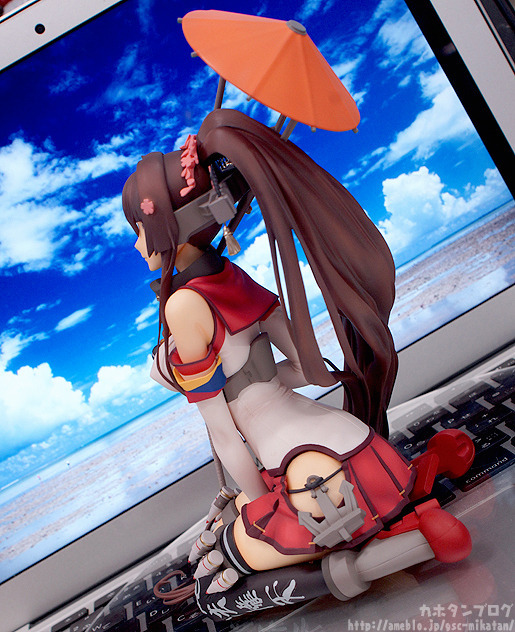 Even without the ship parts, Yamato’s amazing body is still a treat for fans. Her beautiful, dignified appearance is ready to be enjoyed by all! She looks so very elegant… and what a gentle smile! The sitting pose is also a lovely change! 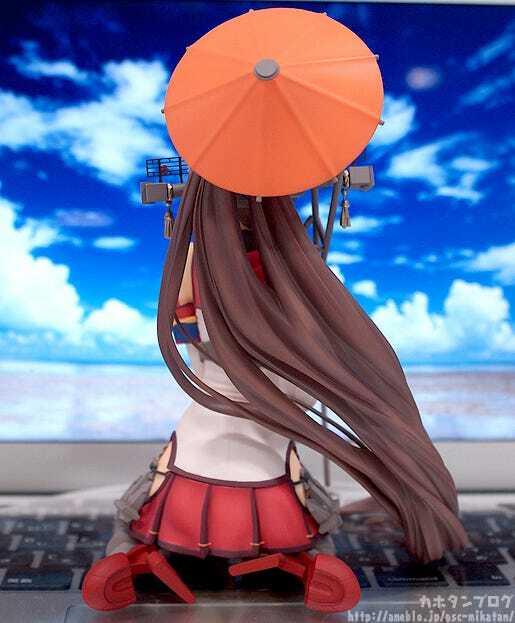 The umbrella she holds is in the image of her mast! Taking a photo from this angle shows her slight upward gaze as she daintily sits upon her stand! 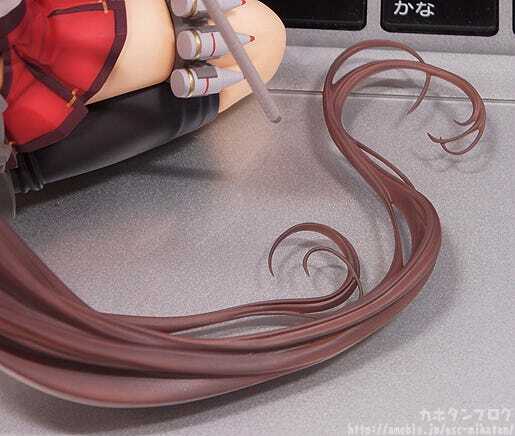 From here you get a nice look at her long, winding ponytail! Don’t you wish you could run your fingers through it! The hair is sculpted all the way down to the very tips on the ground by her legs! I want to twirl it around my fingers so badly but I can’t!!!! 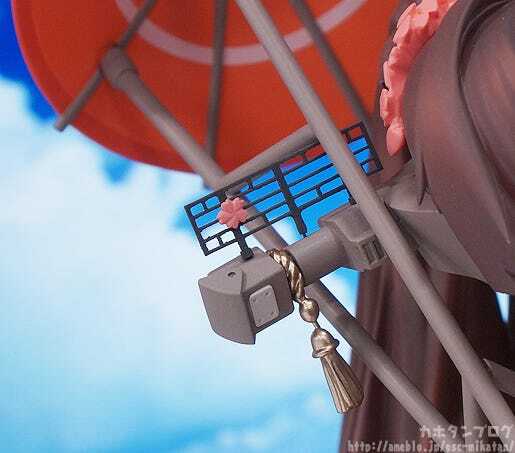 You can also see the umbrella even has the white line painted inside! If you look close you’ll also be able to spot exactly where her belly button is! However as some of you may have already noticed…. the large ship parts that normally surround the battleship are currently missing! These are not included on the Light Armament Ver.! 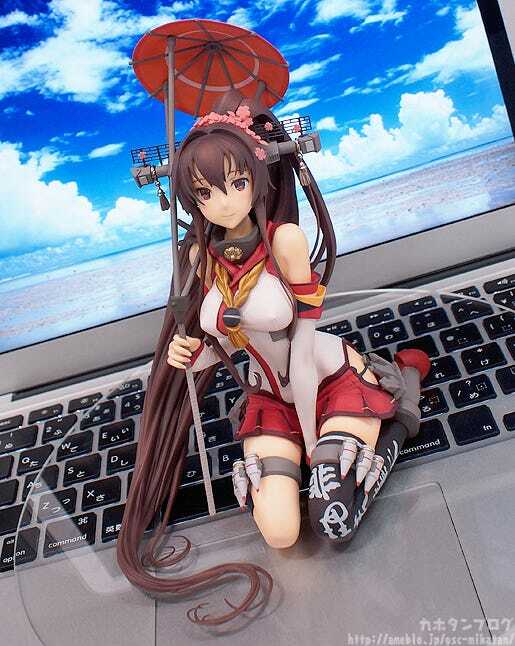 The large ship parts are included with a with the Heavy Armament Ver., which will be released at the same time! Her thighs and weapons along her legs are also great! The soft skin compared with the shiny metal is always such amazing contrast! Simple… yet simply beautiful with an adorable smile and outfit! She’ll be up for preorder tomorrow!! The larger Heavy Armament Ver. 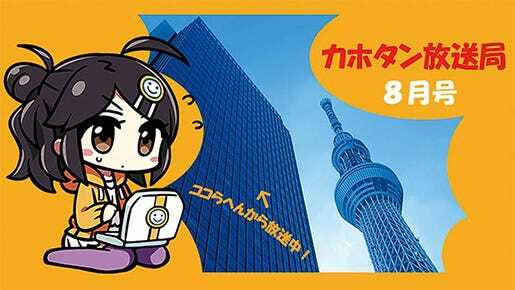 will also be up for order tomorrow as a part of the new series I introduced yesterday, the WONDERFUL HOBBY SELECTION!